As well as looking and feeling great, leather is a durable and long lasting material that stands up well against the constant wear placed on couches. No wonder it’s so expensive! And once you’ve invested in a quality leather piece, you don’t want to see it damaged. Even leather isn’t impervious to cracks, tears and scratches, but you can prevent this from happening by protecting against the top causes of damage to leather lounges. Your leather lounge should be a no go zone for sharp objects like scissors, belt buckles and metal rivets on clothing. Pets can also damage leather with their claws so you might want to consider making it a pet free zone as well. If your lounge is in a high traffic area and policing this policy is impractical, consider covering the leather with plastic, slip covers, or throw rugs. To keep your couch looking its best you should clean, condition and protect it around three or four times a year. But using the wrong products could be worse than not cleaning it at all. Any sort of alcoholic cleaner can do serious damage, from discolouring the leather to dissolving it. Always use the recommended products and follow the instructions carefully. Sunlight, especially the harsh Gold Coast sun, can cause leather to fade, dry or crack. Try not to place your couch under a window or in the path of direct sunlight. If your room is big enough you can arrange it away from the wall, which will also give you a walkway through the room. If this is not possible, close the curtains during the day or angle blinds or louvers so that the sun is redirected away from the furniture. Even though leather is somewhat waterproof, water is not a friend. If spills are allowed to seep through, the resulting water damage can discolour and weaken the leather. Always deal with spills immediately by soaking them up with a dry sponge or cloth. Just like sunlight, placing your leather couch near a heater can also cause damage. Keep your couch at least 50 centimetres away from heat sources such as heaters and fire places to prevent it from drying out and cracking. Nothing lasts forever and leather’s natural fibres will eventually break down. This doesn’t mean you have to say goodbye to your favourite couch. 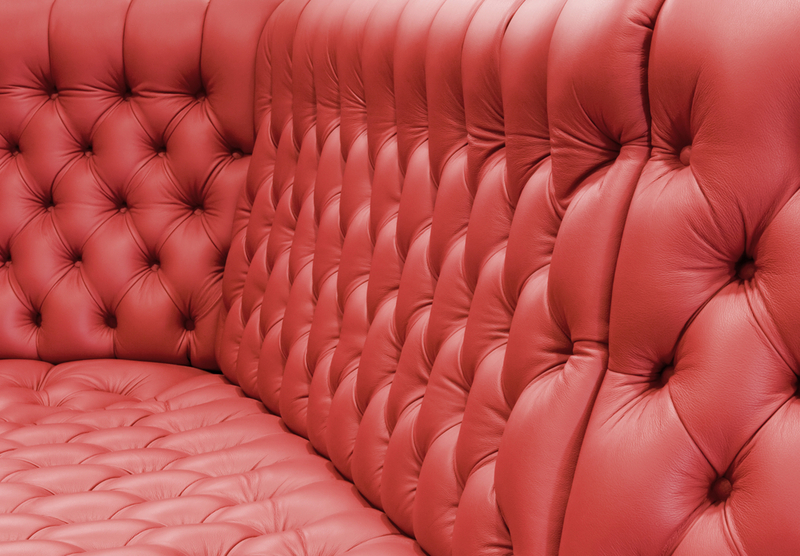 You can extend the life of your leather furniture by sending it away for professional upholstery repairs. Lounge Repair Guys can make your couch look like new for a fraction of the cost. Get in touch for more information on restoring or repairing your tired leather couch.